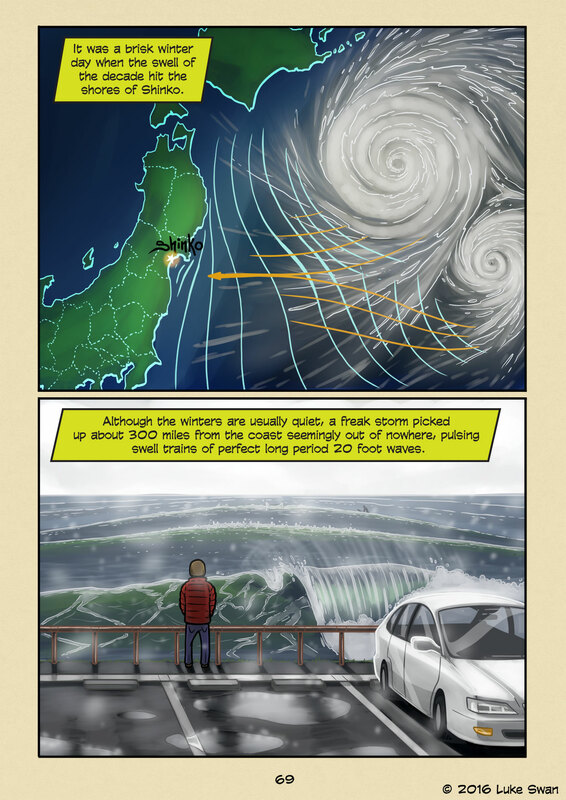 The Storm Last Winter (#069) | Web comic "Surfer Joe"
There has been a lot of storm activity this past winter. It’s pretty unusual from my experience. Winters tend to be pretty quiet around here. But it seemed like there was solid swell every week. I’m not complaining though. Bigger surf is definitely harder when it’s below freezing out. I had a few 2 wave hold downs where I found it hard to take sufficient breath. It was a fun experience, but also pretty frightening. There are moments when the ocean has its way with you that’ll make you wonder “is this it?” Yet getting tossed by the waves is something seasoned surfers have survived time and again. Man’s resilience is remarkable.